At the heart of the historic Renmin Square approx. 45 minutes from Xi’an airport. 414 luxuriously appointed guest rooms and suites are contemporary in décor with warm, earthy hues and subtle hints of the Orient. Superior Rooms feature air-conditioning, telephone, television, bath and separate shower. Luxury Rooms are more spacious. Luxury Club Rooms include Club Lounge benefits. Junior Suites feature a living area. The hotel’s seven restaurants and bars are distinguished by their flair, originality and style with a choice of Mediterranean, Japanese, traditional Cantonese and a Brazilian barbecue. The Lobby Lounge Bar is a refined option for a pre or post dinner fine wines or cocktails, the ‘Habana Club’ offers regular live entertainment. Leisure facilities include ‘Touch Spa’, a heated indoor swimming pool and a state-of-the-art fitness centre. Renmim Square is a historic courtyard of landmark buildings, with a unique history of china. 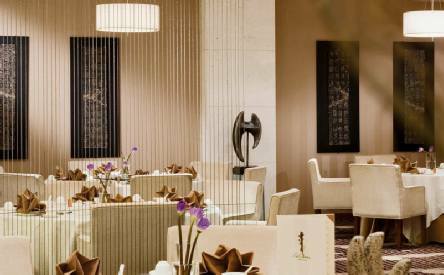 Standing proud at its heart is the Sofitel Xi'an, the city’s premier deluxe hotel, where exquisite interiors, impeccable service and fine cuisine come as standard. 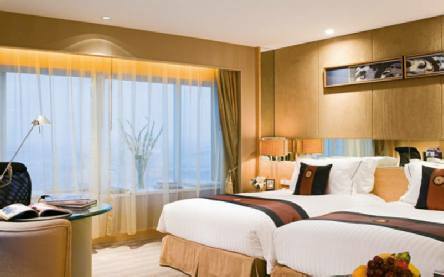 2019 package holidays to the Sofitel Xi’an on Renmin Square Prices are per person based on two sharing.